Portland Over the Esplanade | Just Shooting Memories! A couple years ago, I got to go to Portland, Oregon. It was my first trip to the Pacific Northwest. The hotel I was staying in was right by the water and the Esplanade. I took a couple of evenings and walked most of the Esplanade. Unfortunately, I only took the camera for one of those trips. One day I shall make it back and take many more photos. 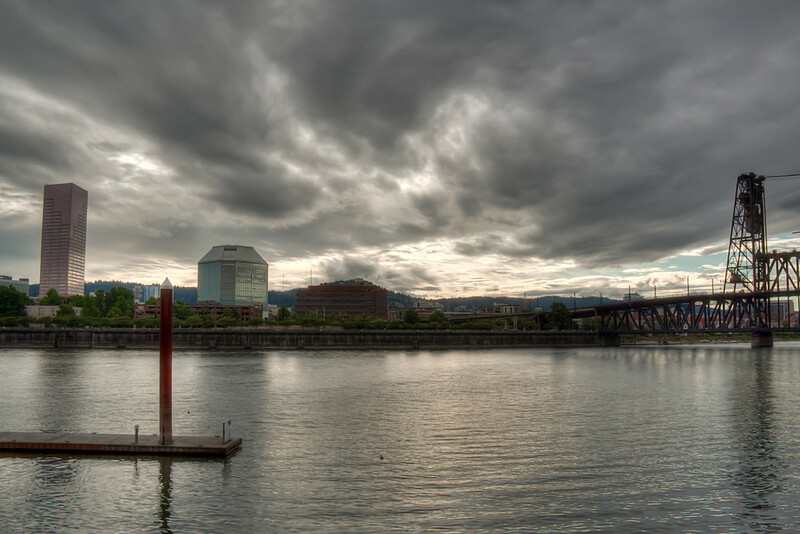 This shot is from the East bank of the Williamette River looking back toward downtown Oregon.